Well, well, well. What with all the discomfitting news about government spying through its program code-named Prism, it seems that Americans do seek food for thought in classic literature. 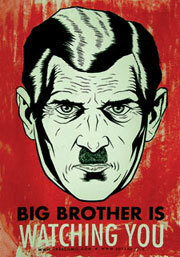 Booksellers across the nation have reported surges in sales of George Orwell’s chilling (and predictive?) novel 1984 according to this June 11th Bloomberg News article. It’s no. 2 right now on Amazon’s Movers & Shakers list. Barnes & Noble has also seen a significant spike in sales. Most of the library’s copies are checked out. My theory? We are seeking more than food for thought from this dystopic novel. We are searching for assurance that the current situation is a merely disconcerting and not likely to reach the horrific conditions of a government Big Brother that the novel portrays so well. This article in the NY Times discusses the recent publication of Orwell’s diaries, which are not totally as profound as one may have expected. 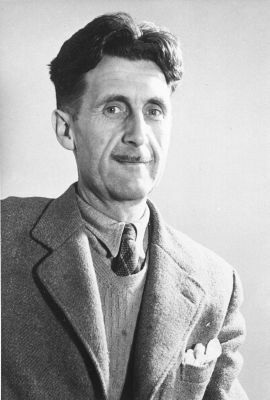 The writing takes place over two decades and reflects Orwell’s activities, such as gardening (although he was a serious gardener). There is also much writing on the topics he cared deeply about: language, poverty, politics, and class. He hardly speaks of his wife or son, but the reviewer claims a sense of the man emerges. Perhaps prior to a big election is a good time to think about Orwell’s contributions to political thought. EPL holdings of George Orwell‘s work.